Nintendo fans will be thrilled to learn that one of the brand’s most popular games is supposedly slated for its own land at Islands of Adventure. The new area would take over the entire Lost Continent. It would stretch from Seuss Landing all the way to Hogsmeade and The Wizarding World of Harry Potter. We’ve heard this rumor from several credible sources around the themed entertainment industry. However, as always, nothing is official until Universal Orlando confirms it. First, for those Theme Park University readers who found the Easter Egg in our article posted on Thursday, Aug. 16, 2018, about the Eighth Voyage of Sindbad closing? Bravo! If you’re new to TPU, we like to hide little Easter Eggs about future expansions we have heard about in our articles for readers to find. For this one in particular, if you took a close look at the tags from that article, you’ll see one of them was indeed “Zelda.” Feel free to check it out! Why Zelda and why Islands of Adventure? As you may recall, Theme Park University was the first to run a story about how Nintendo (as a land) was no longer confined to Universal Studios Florida. As of around June 2017, the scope of the Nintendo project changed at Universal Orlando. Originally slated to replace only the Kids Zone at USF, several Nintendo games were to be represented in this new land including Donkey Kong, Mario Brothers, and Zelda. As the story goes, the scope of the project changed as the strategy to compete with Disney became more aggressive via Comcast, Universal’s parent company. A new mandate was put into place where each Universal-owned park around the globe would receive at least one major new attraction annually starting in 2019. Thus, the timeline and scope of certain projects had to be adjusted to meet the new mandate. What’s coming for 2019 at Universal Orlando? Unofficially, a new Hagrid-themed roller coaster in The Wizarding World of Harry Potter in the former Dragon Challenge spot in Islands of Adventure and a Bourne Identity live-action show at Universal Studios Florida replacing Terminator 2: 3D. Now that we are through the all-important summer months, expect the announcements for new 2019 attractions to be made in the fall of 2018 officially by Universal Orlando. Anyway, back to Zelda. With this new mandate of new attractions every year, this means Universal has to get creative in Orlando due to two parks being side-by-side (with a third on the way). Thus owning theme park rights to Nintendo becomes far more lucrative. Universal decided to scrap the plans for Universal Studios Florida getting all the Nintendo love and spread it out into three locations: Universal Studios Florida, Islands of Adventure and the yet-to-be-named new park down the road. 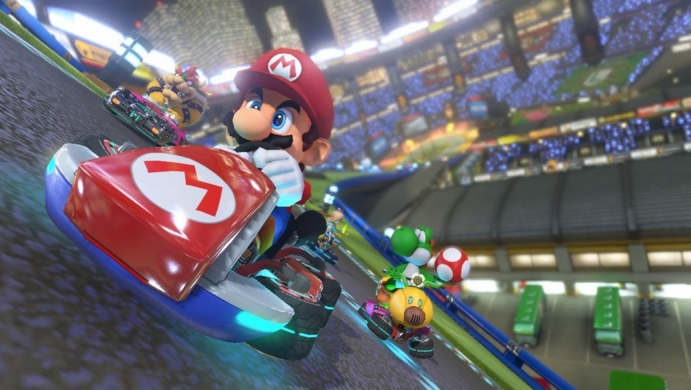 The Mario Kart attraction that will open at Universal Studios Japan, was slated for Universal Studios Florida, but will now open in the Universal park down the road according to insiders. In addition, the Nintendo land at USF was supposed to feature Zelda attractions as well as Pokemon and Kirby. When the mandate came down, the Zelda attractions were moved and expanded upon to Islands of Adventure. What’s the most natural fit to go under the chopping block? Naturally, it is Lost Continent. Why? Particularly in the heavy competition between Disney and Universal these days? Intellectual property is everything. If a new attraction doesn’t have an IP attached to it, there is little to no chance of it getting built. Lost Continent is the only land at Islands of Adventure left that doesn’t have an IP attached to any restaurant, attraction or merchandise location. Therefore, its days are numbered. Now that we know that The Eighth Voyage of Sindbad is closing on September 15, 2018, can the rest of the land be that far behind? Actually yes. Keep in mind, while the stunt show would have eventually gotten the ax (thanks to Zelda), the timing of the closure was more due to low guest satisfaction scores and cost than the impending construction of a new Nintendo Zelda land. This means that Poseidon’s Fury and the Mythos restaurant are safe through most likely the summer of 2019, if not through the holiday season of that same year. Why? Well, we know that the new attraction headed to Islands of Adventure in 2020 is a Jurassic World roller coaster. (Yes, we also had an Easter Egg about that too in a previous article) Therefore, the soonest a Zelda attraction could even possibly open is 2021. Meaning the closure of Lost Continent and all the attractions, gift shops, and merchandise locations doesn’t need to happen just yet. What kinds of attractions could we see in a new Zelda land at Islands of Adventure? We will cover that in a future article. For now, I just wanted to give you an idea of how we got to this point and a rough timeline on when things could start to close. 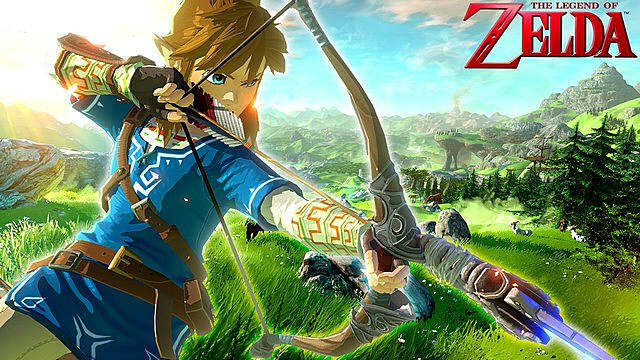 Yes, we are that confident that Zelda will get its own land. No, it isn’t official until Universal Orlando makes an official comment and should be treated as rumor until then. Yes, just as plans have changed in the past, they could indeed change again. That’s one of the best parts about this industry! This entry was posted in Universal and tagged Eighth Voyage of Sindbad, Islands of Adventure, Lost Continent, Nintendo, Zelda. Bookmark the permalink. Trackbacks are closed, but you can post a comment.